Summer is finally here! 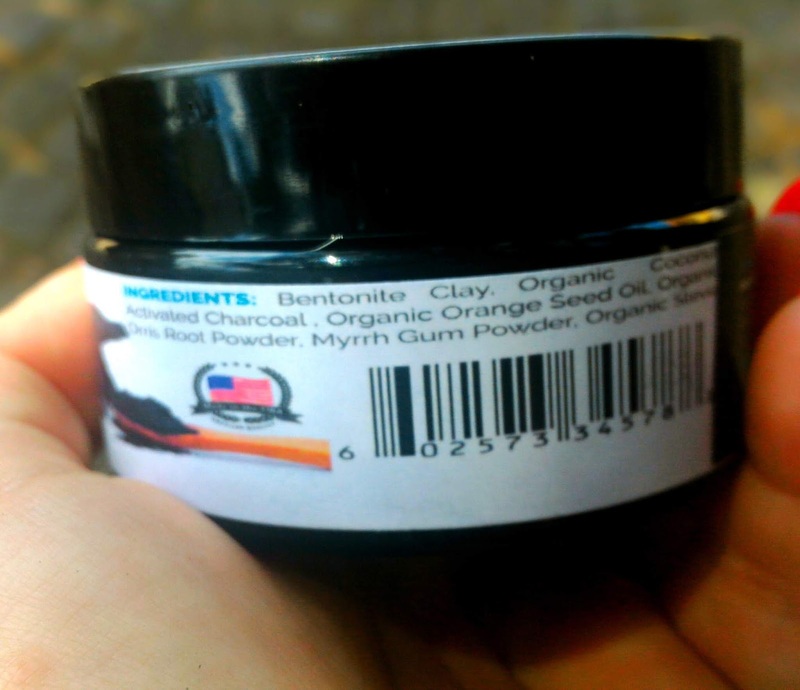 We definitely take more care of our skin, tanning, protect our hair from the Sun... and teeth? Honestly, I never thought about using a whitening product, I thought they were going as well as they were. However, when Maximum Slim asked me for a collab, I decided to test their Max Smile. 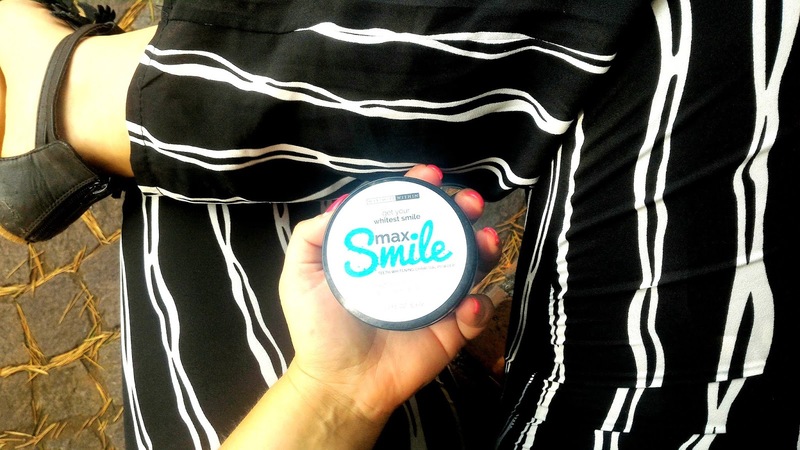 .What is Max Smile and how does it work? 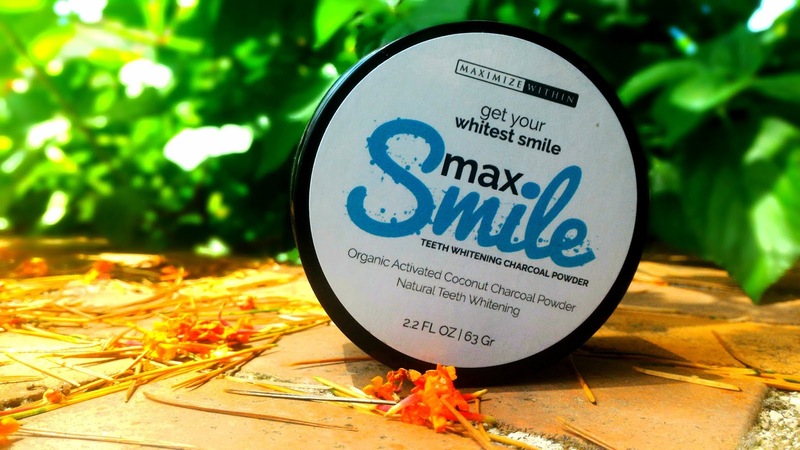 Max Smile is a natural teeth whitening, consisting primarly of organic activated coconut charcoal powder. It's packed in a 2.2 FL OZ and screwed cap closure. I also particularly appreciated a second closing precaution, the classic interlocking plastic disk, with the tongue to pull it out: I accidentally dropped the jar while I was closing it - let's not talk about the heart attack I had for the fear that everything came out - and no grane of dust has escaped, because fortunately I had already inserted this extra protection before the cap. Particularly convenient to carry with you on the go, thanks to its practical size. 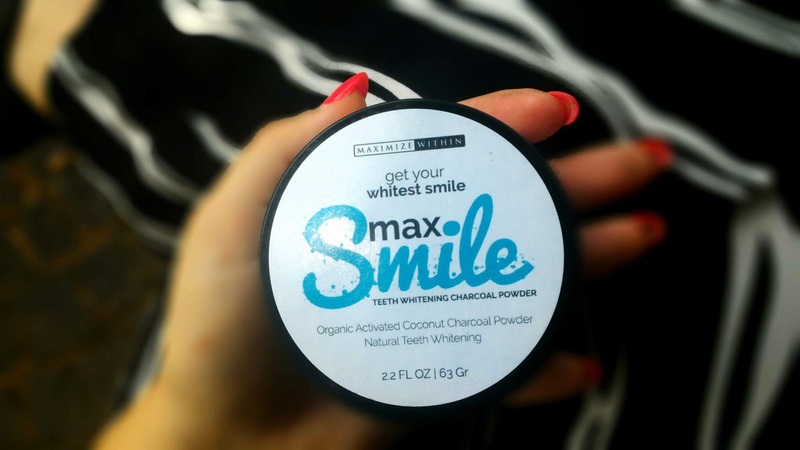 It should be used normally as a toothpaste, below we'll see together in detail the correct usage, and in addition to making the teeth brighter, Max Smile purifies the oral cavity and helps to reduce bad breath. Plus, I'd like to focus more on its main function: it removes cigarette stains, coffee, wine, etc. 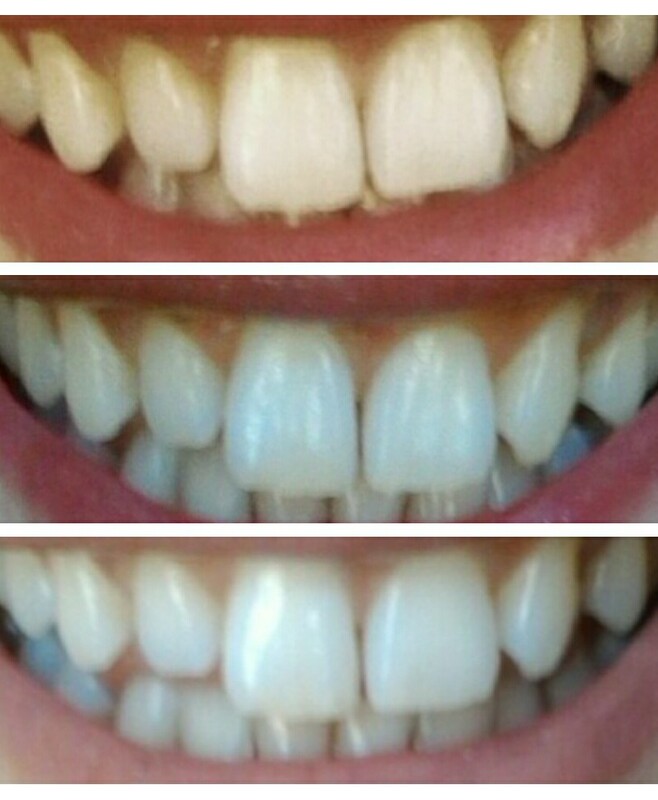 without the harshness of a chemical whitener. Well, I'm a sucker for coffee and I'm a smoker, so I didn't expect a result as good as you can see from the photo above. Furthermore, my parter also used it: he's got a chipped incisive, and the small tooth's part without enamel was stained by smoke. We were pleasantly surprised to see how in fact that little stain is slowly going to fade. This doesn't mean that is suitable only for those who smoke or drink a lot of coffee, on the contrary! 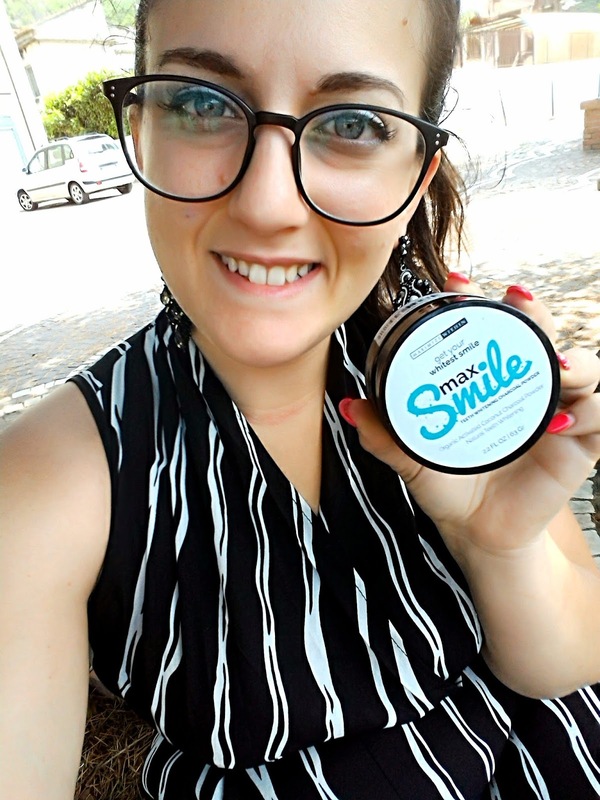 Even those who already have a healthy mouth can benefit of a natural and organic treatment to give a greater shine to the smile. .How do I use Max Smile? It can also be used a couple of times a day, I use it only once in the morning, the important thing is to be constant daily. 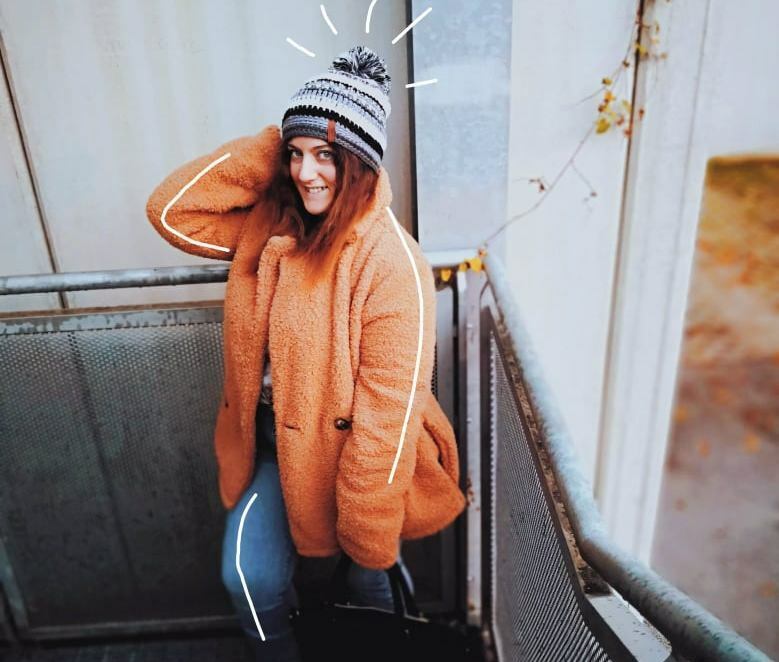 Anyhow, I'll soon post a story on my Instagram or I'll upload a video on IgTv related to the use of Max Smile, so stay tuned! The first thing I immediately noticed at the time of use was certainly the pleasant taste, slightly balsamic, just like a toothpaste but much more delicate. I really appreciated this: usually after having brushed my teeth I get a crazy thirst, cause of the very strong taste of the normal pastes (does it happen to you too or does it happen only to me?)! I hate this thing so much. 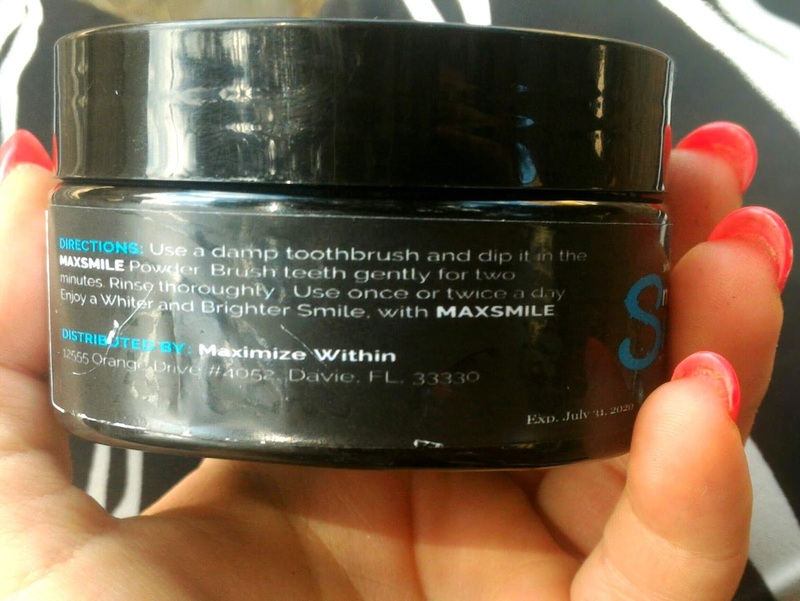 Instead after using Max Smile I find myself with fresh mouth and breath without the cons of being constantly thirsty. Another advantage is that we are facing a vegan and cruelty free product, 100% natural, with a highly competitive and convenient cost! 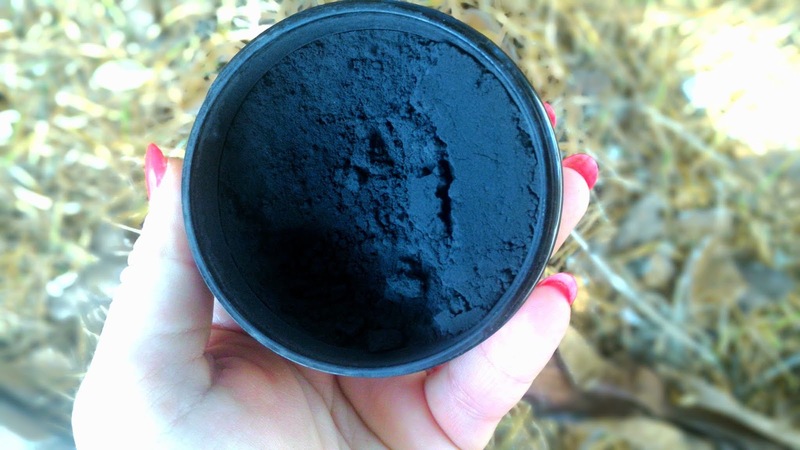 I strongly recommend it, also because a jar lasts about 3 months - obviously it depends on the use, I'm talking about a correct usage with a normal dose per application, without wasting it. 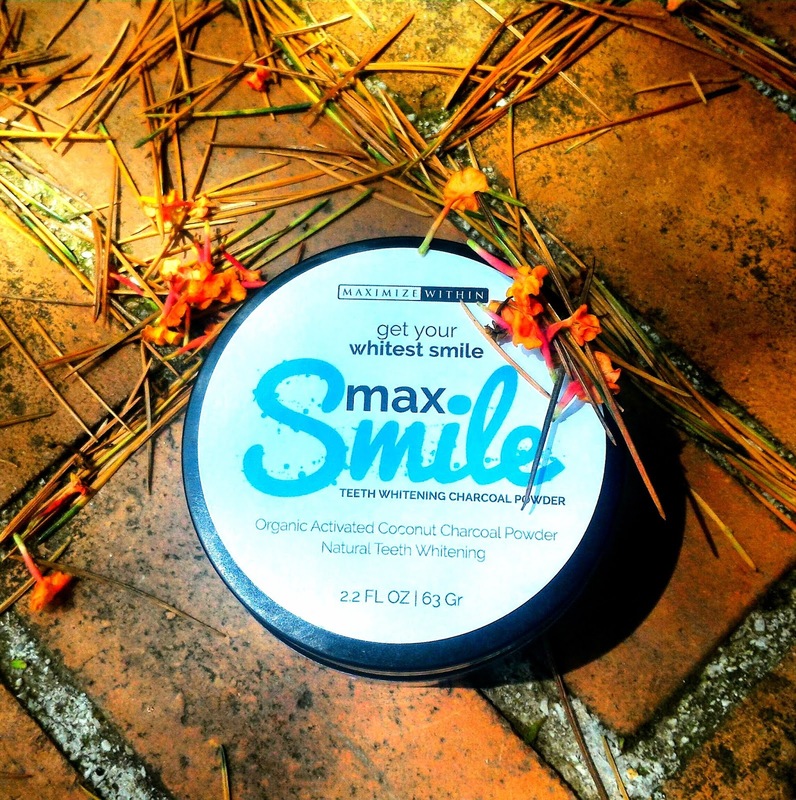 .Where can I buy it and how does Max Smile cost? You can find it here for $24,99. However, you can subscribe to have it once a month or once every three months, paying it $19,99, that's not bad at all! Subscribe to the Maximum Slim newsletter to get a 10% discount on your order!